AutoPrice Canada has been buying and selling used cars many years so we know a thing or two about how a car should look its best. Our dealership houses a top notch detailing centre that can make your vehicle look new again. 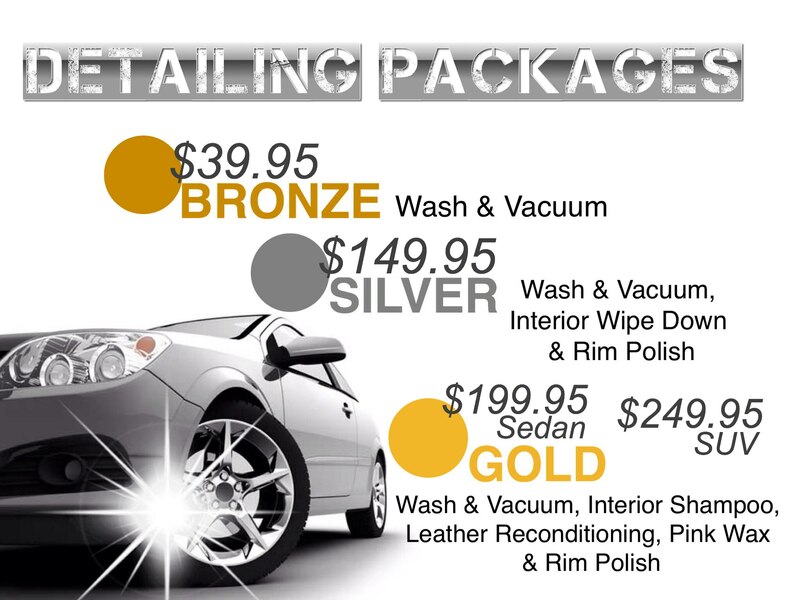 Whether you want your car to look its very best, or you are looking to improve your vehicle’s resale value, our Auto Detailing Experts will get the job done. We give your car the same attention and detail that we give to our used vehicles before we present them in our showroom so you can be guaranteed that your car will be cleaned to your satisfaction. Our leather reconditioning will not only improve the look of your leather interior, but it will also prolong its healthy condition and protect it from our seasonal temperatures. Choose a package that is right for you.